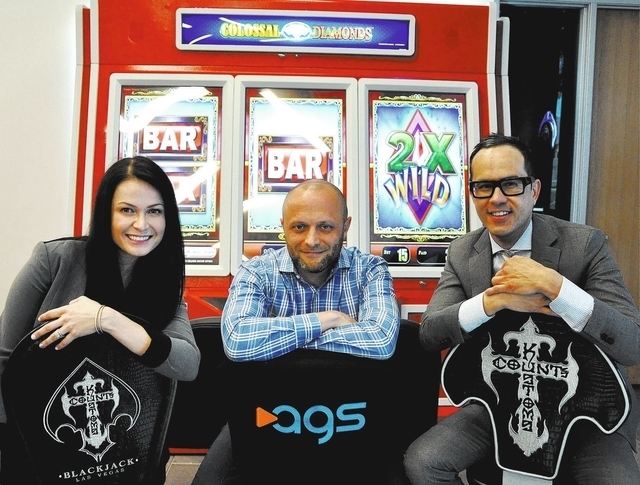 AGS LLC, a gaming supplier with a customer base that stretches from the Strip to parts of U.S., Canada and Mexico, has been on a “run” over the past couple of years, switching gears from distributor to developer-designer and acquiring several well-known gaming labels. 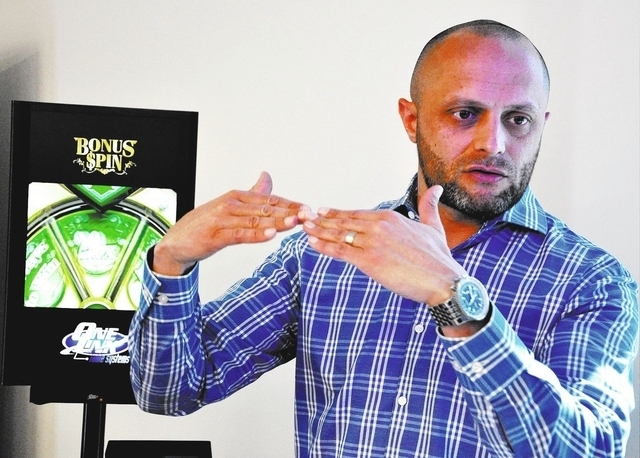 One of the company’s recent targets has been the table game industry, where AGS has brought a spin-to-win element to table games. “For the first time ever, players are able to win a prize on the prize wheel, which you’ve seen in slots, but you haven’t seen in a table game,” said David Lopez, CEO of AGS. In partnership with Count’s Kustoms, an automobile restoration and customization shop featured on the reality TV series “Counting Cars,” AGS produced Count’s Kustoms Blackjack. The draw to the game is that players can win a custom car, truck or motorcycle from Count’s Kustoms, just with the spin of a wheel, after making a qualifying side bet and drawing a blackjack. One example vehicle was a ’62 Cadillac at the MGM Grand. AGS isn’t limited to this game to offer players large-scale prizes. The gaming company purchased the rights to the Bonus Spin progressive technology and table signage products used in Count’s Kustoms near the end of 2015 from Aristocrat, allowing AGS to work with properties on customization of what goes on the prize wheel in future deals. The move was just part of the company’s overall push to enter the table game space. AGS made its first marks near the end of 2014 by acquiring some intellectual property, later bringing in experienced people that were familiar with that market, said Lopez. The other piece was to bring in some games. According to Julia Boguslawski, chief marketing officer, AGS has been designing games in-house, along with acquiring titles that make sense in creating a diverse portfolio. The company wants to touch all aspects of the pit, including blackjack, poker and roulette, Boguslawski added. With this intent in mind, AGS has made several acquisitions in the table game space including card shuffler intellectual property, with an intent to manufacture a single-deck poker shuffler. AGS also acquired things such as Buster Blackjack, along with Double Draw Poker. In the last 18 months, the company has installed more than 800 table games — in the specialty market. That market can be defined as taking a game and adding an element such as a side bet or optional additional wager, Boguslawski explained. Some of its footprint can be seen on the Strip. Out of the 6,000 table games across the state of Nevada, the market is made up of 15 percent specialty games, said Boguslawski. There is room for growth and AGS has a strong portfolio. In the past, specialty games weren’t around as much. You would find one or two in the pit, said Boguslawski. Today, each casino has 20 percent to 30 percent of that type of game in the pit, she estimated. The vision to restructure AGS began in December 2013 when the company was purchased by Apollo Global Management LLC — one of the private equity firms that owns Caesars Entertainment Corp.
“If you look at AGS today, it’s sort of unrecognizable compared to what it was when Apollo bought the company,” said Lopez. Then, the company ran under the name American Gaming Systems. Its roots traced to 2004 in Oklahoma in the Class II Native American market, with a role as more of a distributor rather than a designer. AGS has since moved into the Class III Native American and commercial markets, along with the Class II Native American slot markets. Its holdings have spread to several Native American markets such as Alabama, Florida, Wisconsin and California. The company set up shop in Las Vegas in 2008, said Lopez. Since Lopez’s reign began in early 2014, the company has made several acquisitions across the gaming spectrum. A few years ago, the company had 150 employees. Today, AGS has about 500. One of its acquisitions was Cadillac Jack, a major supplier of electronic games and systems. AGS paid Canada-based Amaya Gaming Group $370 million in cash plus a promissory note of $12 million for it. The purchase gave the company Cadillac Jack’s 13,000 units across the U.S. and Mexico in the Class III Native American Markets and commercial sector. Lopez said the company will be spreading into Latin America. AGS already has products in Europe, and expects to be in Asia in the not too distant future. On top of its U.S. holdings, AGS also holds markets in Canada. Other purchases have included Colossal Gaming, which gave AGS a slot game named Colossal Diamonds, also known as “Big Red,” for its tall and wide physical makeup. This was a concern at first for some vendors who had installed similar games. The “Big Red” slot was also recently approved in Nevada, where several installations have begun at Strip properties. Pechanga representatives also had positives to say about working with AGS. Another realm AGS has entered is the social gaming world with the recent purchase of RocketPlay, a gaming company that develops social casino titles for mobile devices. Its flagship product is Lucky Play Casino, where players can play slots, table games, tournaments and live events in a virtual setting. Players can get the same action they get on the casino floor with a different draw. “Really, they’re going for status and scores — sort of leaderboard status,” said Lopez. Players can also post their scores on social networks such as Facebook.